A survey conducted by Martec International highlights the key challenges retailers across North America and Europe face today. 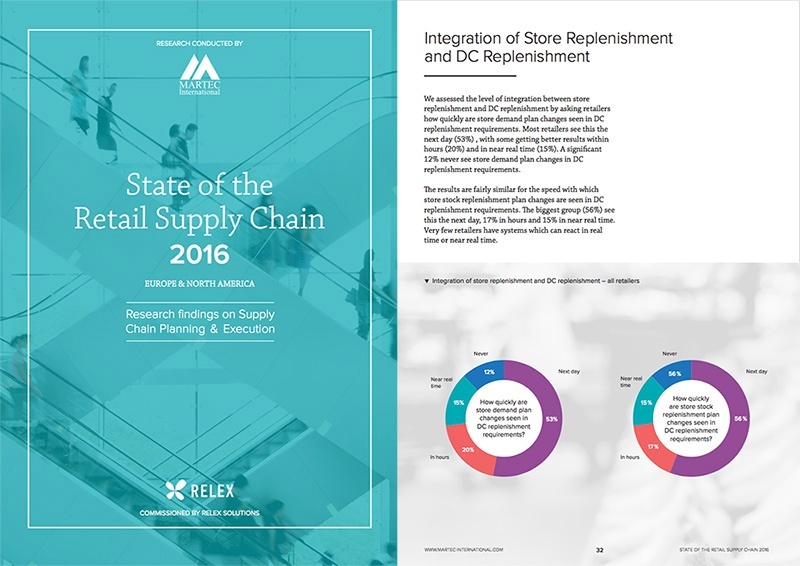 Read the report ‘State of the Retail Supply Chain 2016’ to discover exclusive insights. We will also email it to you for your convenience. Read the report to find out the business and system challenges supply chain executives face and how they plan to overcome them. Martec International interviewed 126 retailers across North America and Europe with annual sales in excess of €100 million. The study explores the state of supply chain planning and execution in retail covering all aspects from forecasting and replenishment challenges to supplier collaboration, omni-channel, supply chain visibility and more.